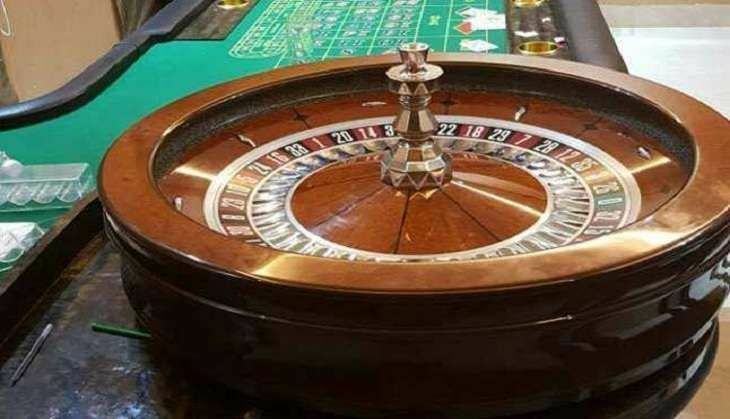 An illegal casino located in South Delhi's posh Sainik Farm area was raided by the South District Police on 23 October, which led to the arrest of 36 persons. The police have seized tokens valued at about Rs 1.37 crore. "One crore thirty-six lakh and 45 thousand rupees have been recovered in the raid. We have also seized tokens of different values. We have also recovered 13 Indian made and imported liquor bottles. For the liquor bottles, we are going to launch a separate case. We got an input regarding this and launched a joint operation. After getting a tip, we gathered our team and conducted a raid," South Delhi Deputy Commissioner of Police Ishwar Singh told media. DCP Singh also said they also seized 11 luxury cars and a manhunt has been launched for Harnendra Kaushik, the owner of the premises, and Kunal Chandra, the proprietor of the casino. "Table attendants and proprietors were arrested. We would like to request the court to seal their properties. We have registered an excise act and gambling act case. The property owner is Mr. Harendra Kaushik. He is absconding and we are searching for him. The people whom we have arrested are Bobby, Montu, Guddu Sunny alias Kunal Chandra," he added. "Minimum five lakhs has to be deposited to play this game. Our raid took place at mid-midnight are moving the court requesting that the premises used for the casino be sealed under the Delhi Gambling Act," he said. Acting on a tip, the casino was raided in Neb Sarai of South Delhi.